In this competitive world, it is vital for any business to have a web presence. For the purpose of having a good business online, it is imperative to build a website that not only allows the business owners to dispense their business information but also enables them to promote their products and services. Here comes the need to hire the services of a professional web designer. Website development plays a major role in gathering patrons. In fact, an ingenious website can convert visitors into potential customers. On the other hand, if a website lacks a professional touch, no matter whether it addresses the best products and services, and comes in the first page of search engines, most visitors will surf away and move to new search results. 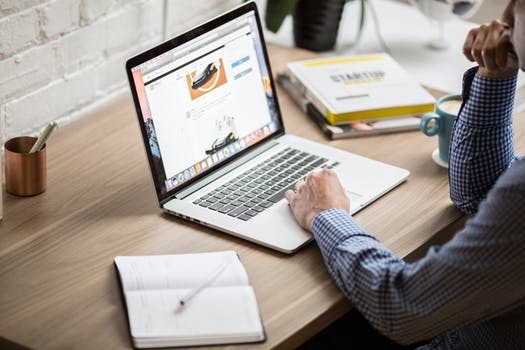 Whether there is a need for modification in the business website when launching a new product or service, or extension of the target market; to connect with the audience and protect their interests, a website is vital. Thus, it becomes necessary to hire services of website development companies that can help to design and make a professionally designed website. This can be the best possible means to reach out to the target audience. As there are innumerable companies that provide website design and development services, most people might get confused as to which one to select and deal with. If there are those who have faced such a situation, the first step is to analyze the needs, which include business objectives, target audience, estimated budgets and so on. Then website owners can request for a quote from the best web development company. They should start inquiring about the fees charged, check their client portfolio, go through the testimonials, and verify their authentications and achievements, awards and certifications. A professional web development company would be keen to display the required documents to ensure that their clients have no doubts in their minds. A reputed company employs skilled and proficient web designers who are dedicated to fully satisfy their clients and ensure that they give attention to every minute detail of the products and services offered by the business. Most of these professional agencies have project managers to supervise the web designing and web development tasks. The account managers maintain a direct link with respective clients and ensure that the website is developed in a manner that brings more clients and eventually more business. Another trait of finding the best website development company India is to check whether the agency offers various web designing and development packages that are customized to suit the needs and wants of every client. A professional web development company would offer comprehensive packages that include mobile web design, email design services, FBML page design, and twitter page customization. Many web development companies may not provide such kind of packages, so individuals need to review the offerings provided by their chosen website designing company. Before hiring a professional web designing agency, individuals need to review testimonials from the present clients and of those for whom they have already worked.